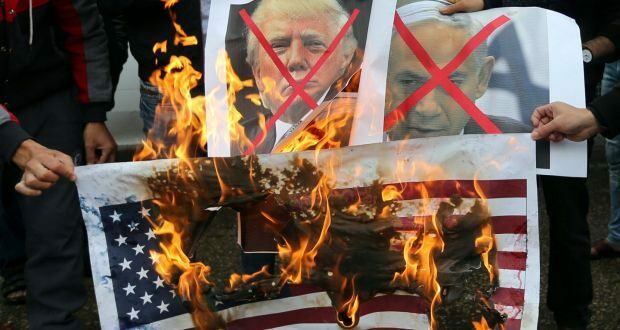 Three U.S. imams have called for the death of Jews since December, a trend that has followed President Donald Trump’s recognition of Jerusalem as the capital of Israel. In the latest incident, Abdullah Khadra, a Syrian-American imam, announced during a sermon in a Raleigh, North Carolina-area mosque on Monday that Jews should be killed. The sermon was taped and transcribed by the Middle East Media Research Institute (MEMRI)¸ a nonprofit group. “The Prophet Muhammad gave us the glad tidings that…we will fight those Jews until the rocks and the trees will speak: Oh Muslim, this is a Jew behind me,” Khadra said. MEMRI suggests that the words have a known connotation that Khadra did not say, but his listeners understood. “The continuation of the well-known Hadith is that the rocks and the trees say: ‘Come and kill him,’” MEMRI reported. So I guess Trump is to blame.